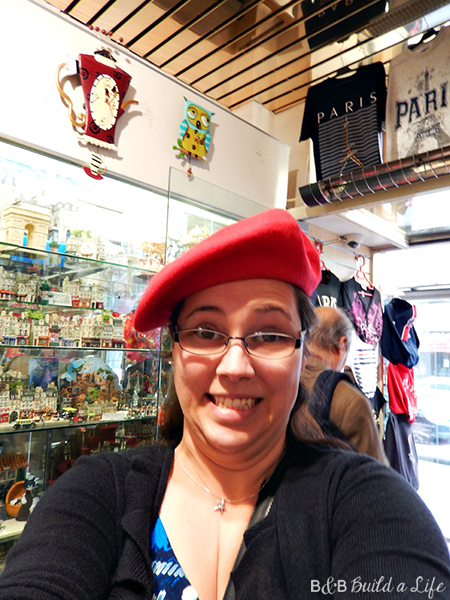 Paris and shopping, I mean they do kinda go hand in hand. 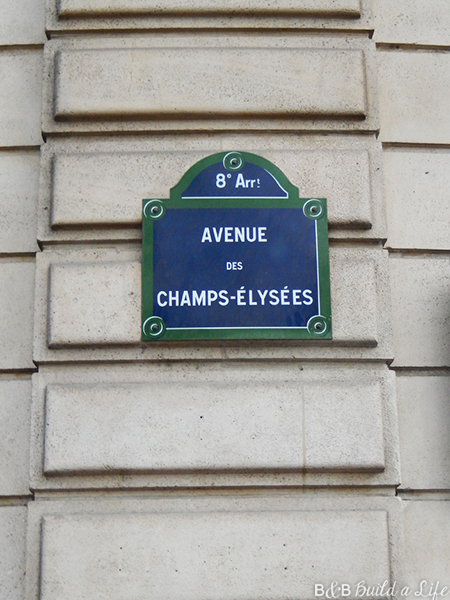 So off to the Champs-Élysées we went! There were so many shops — and a LINE just to get into Louis Vitton! Ridiculous. I was totally crushing on these high-heeled-high-tops in one store… but couldn’t fathom spending $250 on them! And of course the treats! Macarons! 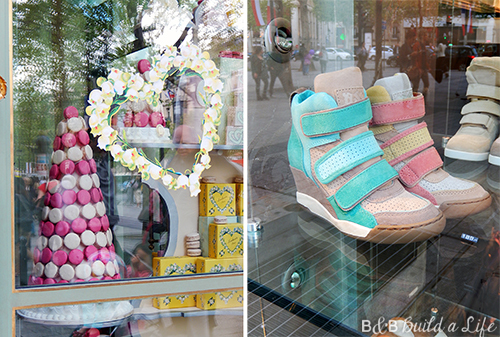 To get my macaron fix, and to spend some time people watching, we stopped at Pauls Patisserie. Mmm elephant ears and macarons! And of course some espresso while we watched the other shoppers go by. Ahhh the life. You could shop for basically anything along the strip, including cars! 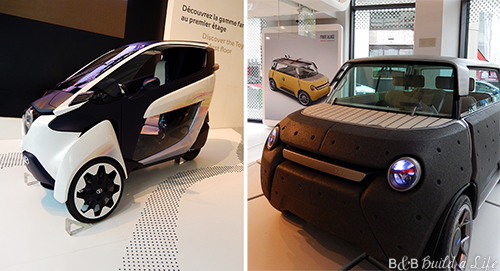 Here are two concept cars at Toyota. The one on the left is a car for one. Looks like fun! 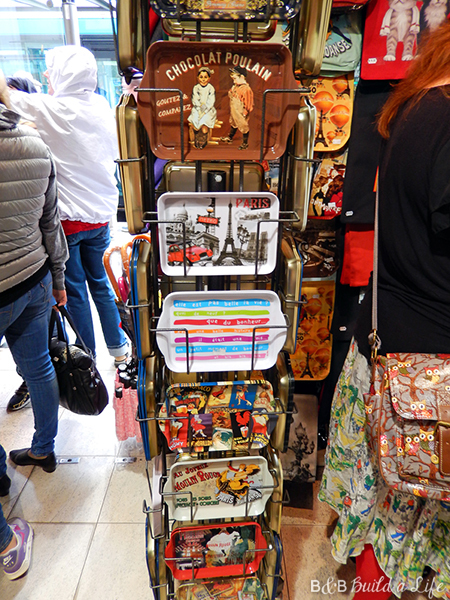 Kinda fell in love with these trays. Lord knows I have a thing for trays…. but really, I don’t need yet another, so they stayed in Paris. 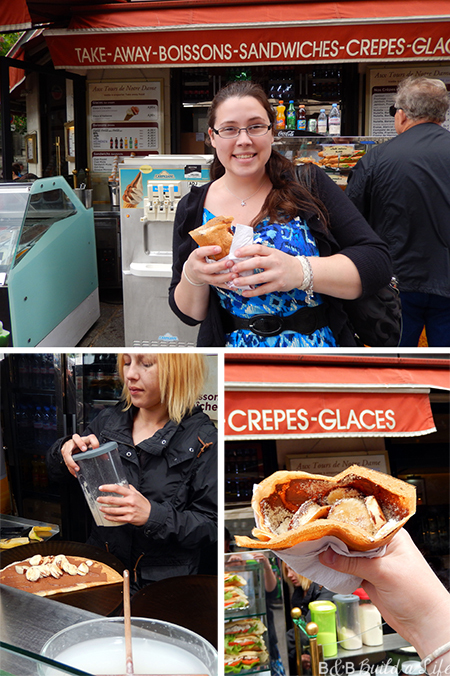 And of course we had time for another crepe! This was by far my favorite combination, nutella, bananas and almond crumbles. Mmmmm! 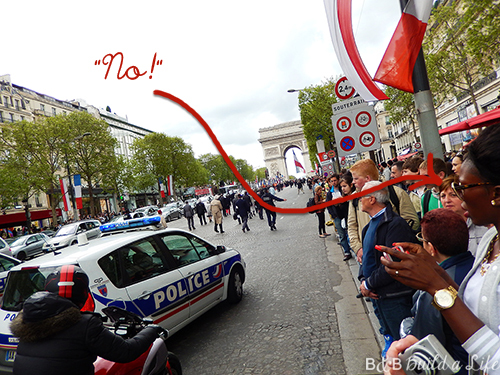 At one point during our stroll down the Champs-Élysées the street was shut down and a military parade came down past us, headed for the Arc De Triomphe. 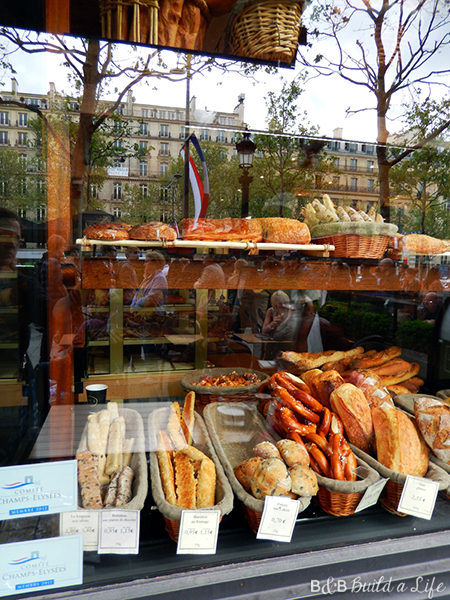 And this is where we finally encountered a Parisian that held up the stereotype. As the parade passed us, my friend Erin tried to ask this woman if she knew why the parade was happening. She even tried to do so in French. And this woman literally put her hand in Erin’s face to push her away, saying ‘No! No! No!’ until she could walk away haughtily. And that’s the story of how we met a rude French woman. It turns out, we were in town for Victory Day, known as VE-Day in the states, and this march was one of the many activities going on to mark the end of World War II, or at least the surrender of the Nazis. We still had to defeat the Japanese to completely bring WWII to an end, making VE-Day an obviously big deal in Europe, and less so in the States. After our shopping excursion, it was off to the Louvre for sunset! Previous Post Gosh Notre-Dame It!